Lovely cabin, very comfy, clean and warm. lovely dogs at the main property and not far from hot pots! Amazing cottage in the middle of the fields and nature. Easy to find with GPS hidden behind the owners' house. Felt like our chalet in the wilderness. Great amenities to cook, enjoy, relax. It’s location surely. So near from Route 1 near Hofn. Friendly host with two lovely big dogs. Stylish wooden house which is very warm. This place is exceptional - so cosy and comfortable, the bed is amazing, and its in such a great location for a bit of serenity and scenery. Everything about this place was amazing, it’s peaceful, great views. It is easy to find from the main road. The host was very nice and welcoming, explaining everything we needed to know. The house has everything you need for your stay. It is very clean and tidy. The beds are very comfy and we had an amazing nights sleep. The shower is just great and you didn’t want to get out. Home from home and the dogs are an added bonus. We will definitely return again when back in the country. We stayed in the ‘summerhouse’ with has all the facilities you need. Nice self-catering facility. Easy to find. Cabin had a lot of free foods just for us. Nice view. Good location near to road 1; Very quiet surroundings; Very nice wooden house with equiped kitchen; There is a glacier in 50 minutes by walking; Hot tubs in just 5 minutes for 1000 ISK pp. Lock in a great price for Guesthouse Birkifell - rated 9.2 by recent guests. Guesthouse Birkifell is located in Höfn and offers accommodation with a garden, barbecue facilities and a terrace. Free WiFi is available. There is a full kitchen with a dishwasher and a microwave. The private bathrooms come with a shower. You can enjoy mountain view and garden view from all the rooms. A TV is featured in the shared living room. At Guesthouse Birkifell you will find a n array of activities can be enjoyed on site or in the surroundings, including hiking. The property offers free parking. Natural hot springs are found a 5-minute walk away. Höfn town centre is 12.4 miles from the house. This property also has one of the best-rated locations in Nesjum! Guests are happier about it compared to other properties in the area. This property is also rated for the best value in Nesjum! Guests are getting more for their money when compared to other properties in this city. Guesthouse Birkifell has been welcoming Booking.com guests since 15 Jun 2014. When would you like to stay at Guesthouse Birkifell? Guesthouse Birkifell offers two seperate houses, 3 bedroom house and a winter cottage. The three bedroom house is available during summer months and the winter cottage is available during the winter months. Both are located about 20 km from Höfn, surrounded by beautiful mountains and nature and only about 10 minutes driving distance from Hoffellsjökull Glacier. House rules Guesthouse Birkifell takes special requests - add in the next step! Guesthouse Birkifell accepts these cards and reserves the right to temporarily hold an amount prior to arrival. Please inform Guesthouse Birkifell in advance of your expected arrival time. You can use the Special Requests box when booking, or contact the property directly with the contact details provided in your confirmation. Great hosts and beautiful location! Window in the second bedroom needs repair, as during the storm some wind and water came in. luckily we only needed 1 bedroom. The toilet is a little bit lack of cleanliness. Great location with an amazing view! The cottage is new, and fully accessorized for a perfect stay. Bring any food you need with you because a round trip to town takes a good 30-45 minutes. 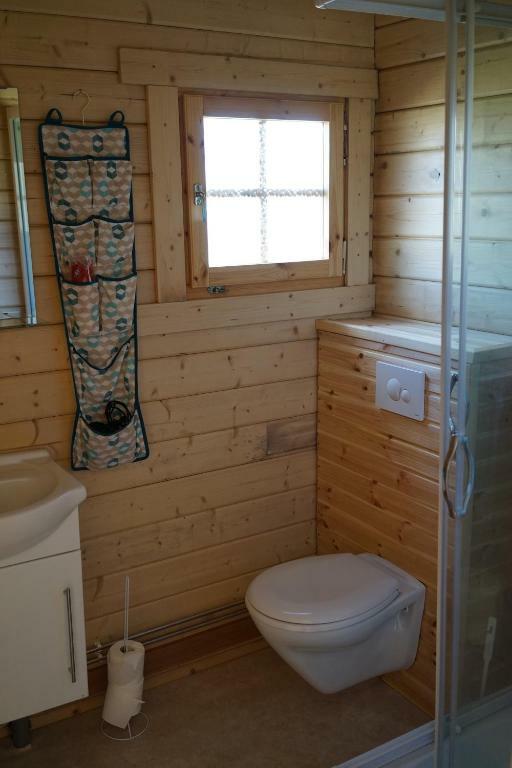 This is a beautifully furnished and decorated modern cabin. Very homey and impeccably clean. The host and their beautiful dogs were very friendly. The kitchen included everything we needed including spices to prepare the fresh salmon we purchased at a very reasonable price at the grocery store in Hofn. (We cooked it on a range top, there is no oven). There was a coffee maker that was similar to a Keurig that made wonderful coffee. The Hoffell hot tubs were very close by. The scenery around the cabin was beautiful as was the owner's landscaping. 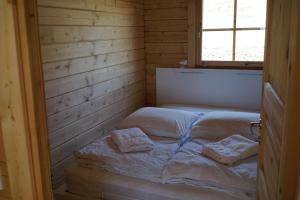 The cabin was very comfy and an excellent value when you consider that basic hotel rooms in Hofn are much more. I wish it was a little closer to Hofn. The host lived right next to the guesthouse and met us to let us in and show us around. He was very friendly and helpful. The guesthouse was very clean and in excellent condition, and has a nice view of a glacier. Nothing to dislike about this property at all our only thing would be bring plenty of supplies as the nearest shop is a drive away. Everything was great! host, location, facilities. Super home feeling with privacy and great area. I am totally coming back to this location! Room with double bed was slightly smaller, leave the luggages in the common area to have more space.